The Good Arab is apolitical. He doesn’t have an opinion on world affairs or his own affairs. He leaves that to Western experts with fancy degrees and government officials in London and Washington. On the other hand he is very much a product of globalisation and an avid consumer of everything American. The Good Arab is Muslim. Religious and other minorities are out of fashion since the end of the colonial era. His Islam is moderate but visible enough to the International Media. He is slightly hypocritical about certain aspects of his faith and chooses to exist in a state of denial. He is not encouraged to question this as he might question other things as well. 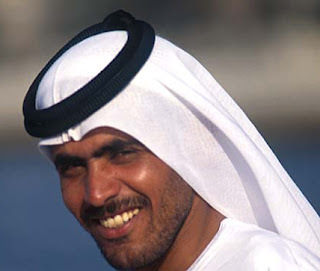 The Good Arab is fond of folklore and when asked about his culture will mention Hummus and belly dancers. He will deny that any reform is needed and highlight that ‘Tradition’ is his most precious asset. This same tradition will be used to appease the angry youth in Amman and turn them into Salafist Jihadis in Baghdad. The Good Arab will pay lip-service to his Palestinian brethren by cursing Israel while doing backroom deals in a luxury hotel on the French Riviera. He will shower refugee camps with aid money to alleviate his guilt but spend time inspecting the latest arms shipment from BAE systems. The Good Arab is a poster boy for the new Middle-East. The Bad Arab is everyone else. It sounds like you agree with at least part of it but I am not sure why you find it unusual.